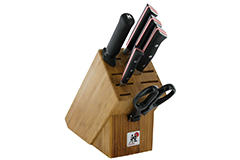 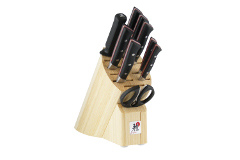 All knives in the Zwilling J.A. 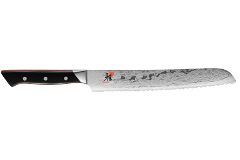 Henckels Miyabi Fusion 600D Series feature razor-sharp edges of the East with shapes more accommodating to Western chefs. 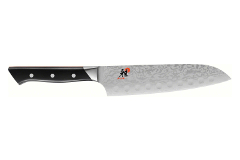 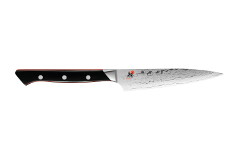 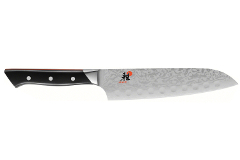 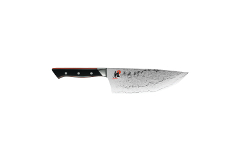 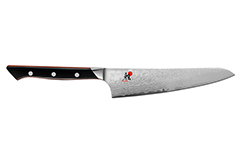 These stunning knives were designed with input from Iron Chef and master chef Masaharu Morimoto and include his signature touch of red on the handle. The thin profile Damascus blades and katana edges provide a striking visual and are extremely sharp. 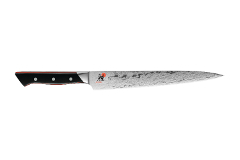 Each knife of the series have a long-lasting edge as a result of the VG10 steel core that's clad with 32 layers of stainless steel on each side. 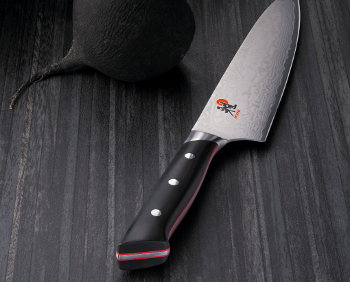 The Miyabi handle is also an attractive design that comfortably fits your hand. 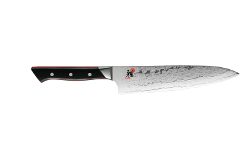 Each blade is finished by master craftsmen in Seki, Japan using the traditional honbazuke blade-honing technique..